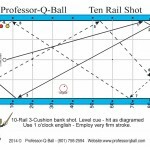 The through-the-hole double-the-rail pattern drawn in the diagram is not normally called a spin shot, but it has two characteristics after the cueball leaves the first rail-slow speed and tremendous spin. 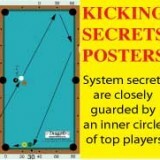 It is stroked as a force follow with high right-hand English. 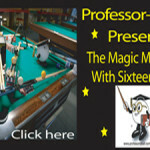 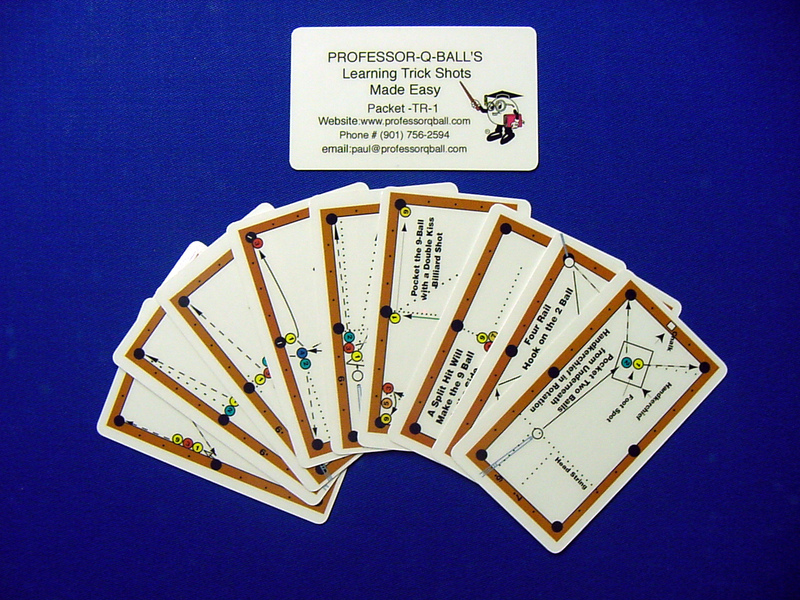 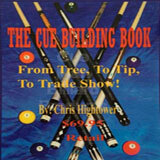 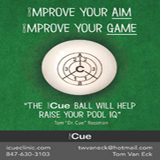 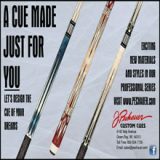 The speed on the cueball is killed not by the full hit but by the negative angle of approach into the first rail. 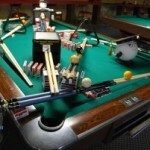 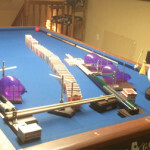 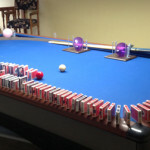 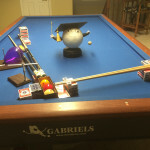 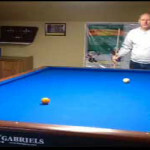 The action is beautiful because the cueball speeds up after hitting the fourth rail. 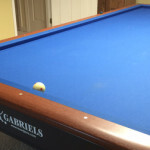 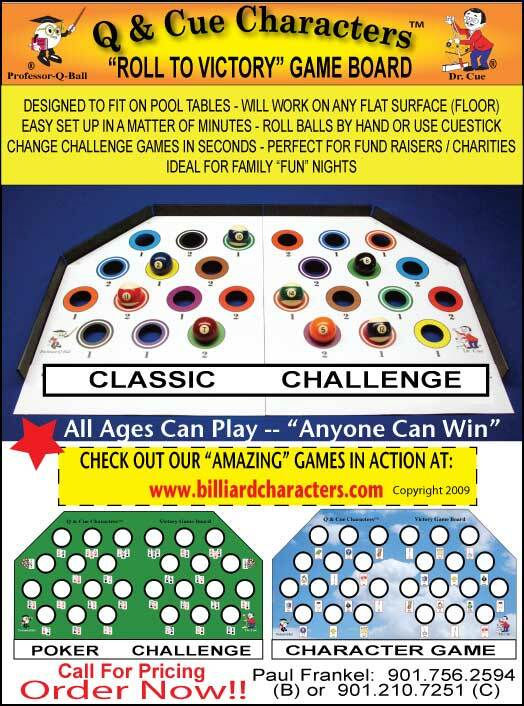 I cry real tears for players forced to play on tables with cheap, coarse cloth that takes away many spin shot options. 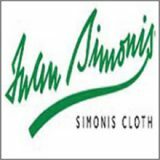 If your proprietor is too cheap to provide imported cloth, I urge you to take up a collection and buy it yourself. 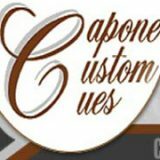 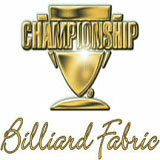 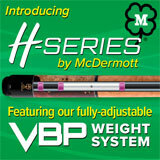 Go to a billiard supply store and ask for Simonis (Belgium} or Granito (Spain). 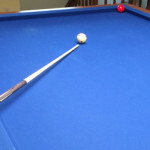 Too much greater degree than pool, the pleasure to be derived from three cushion is dependent upon the quality of the equipment. 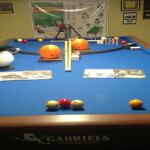 If the rubber on your table is dead and the cloth is cheap or worn out, you might as well go bowling.